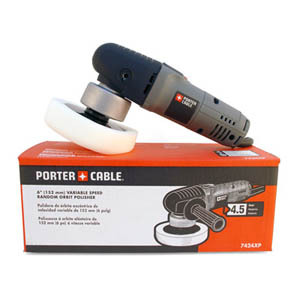 Porter Cable 7424XP Dual Action Polishers are the ultimate dual action car polishers! The Porter Cable 7424 XP Polisher is the most user-friendly, paint-safe car polisher on the market! The Porter Cable 7424 XP Polisher makes product application, polishing and buffing faster and more effective than detailing by hand. With variable speeds and a dual-action pad, this polisher is great for novice detailers or seasoned pros that just enjoy the ease of use. The Porter Cable 7424 XP dual action polisher has a host of features that put it in a league all its own when it comes to safety and durability. The XP version has a Heritage Porter Cable Mechanism, Improved Switch Design for greater durability, More Powerful Motor (4.5 Amps) yielding 2,500 to 6,800 OPM, and Improved Ergonomics for improved comfort and control. If you have never used a buffer or polisher on your car before but want to use one of the safest polishers, there’s no doubt that the Porter Cable 7424 XP Polisher is the one for you. The human hand can’t possibly achieve the results that are obtainable with a high-quality car buffer or dual-action polisher. Choose from 15 money-saving Porter Cable Value Packages. We offer both single- and double-sided foam pads, terrycloth and microfiber bonnets for the Porter Cable 7424 XP Polisher. This orbital polisher is safe and effective for polishing your paint to perfection and for applying waxes and sealants. 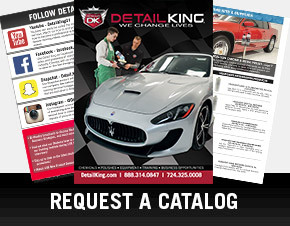 We sell hundreds of these units per month — not only to car detailing professionals but also to car enthusiasts who want to be able to achieve professional results by doing it themselves! 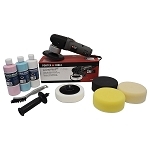 The Porter Cable 7424 XP Dual Action Orbital Polisher comes standard with a side handle, one white foam polishing pad glued to a screw-on backing plate, a wrench to remove backing plates and complete instructions. 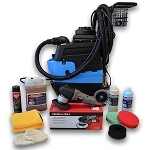 Be sure to check out our money-saving Porter Cable 7424 XP Polisher Value Packages below. 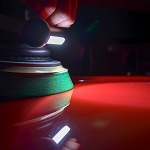 You can buy the polisher separately and then go back later to pick and choose among the accessories we offer. But you’ll save a bundle if you purchase one of our 15 different packages. 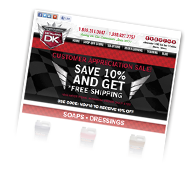 If you are starting an auto detailing business be sure to check out our Porter cable Business Man Packages. Use this brass Porter Cable Pad Adapter for our Edge 2000 Double Sided pads for the Porter Cable Polisher. This same adapter can also be used with our Cyclo Polisher Double Sided Precision Pads. 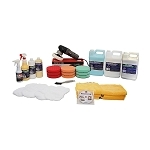 The Porter Cable 7424XP Polisher is the ultimate car polisher for the serious auto car enthusiast or the do-it-yourselfer who wants an automotive polisher that is safe to use and provides awesome results.